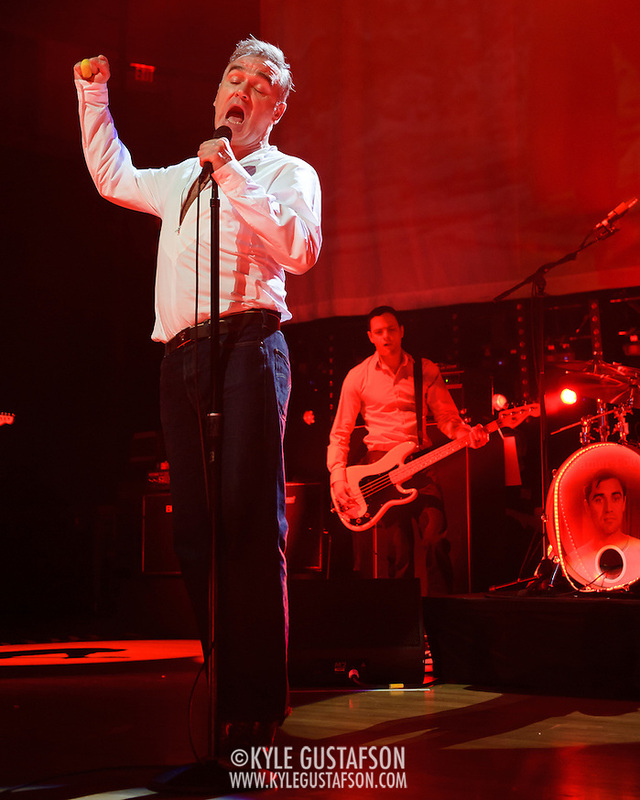 I still remember the first time I shot a Morrissey concert. It was 2007 at DAR Constitution Hall. I pretty much had the place to myself, it was just me and one other photog. I took what is to this day my favorite concert photograph and honestly it’s a wonder I didn’t hang up my camera then. I don’t think I’ve beat it since. 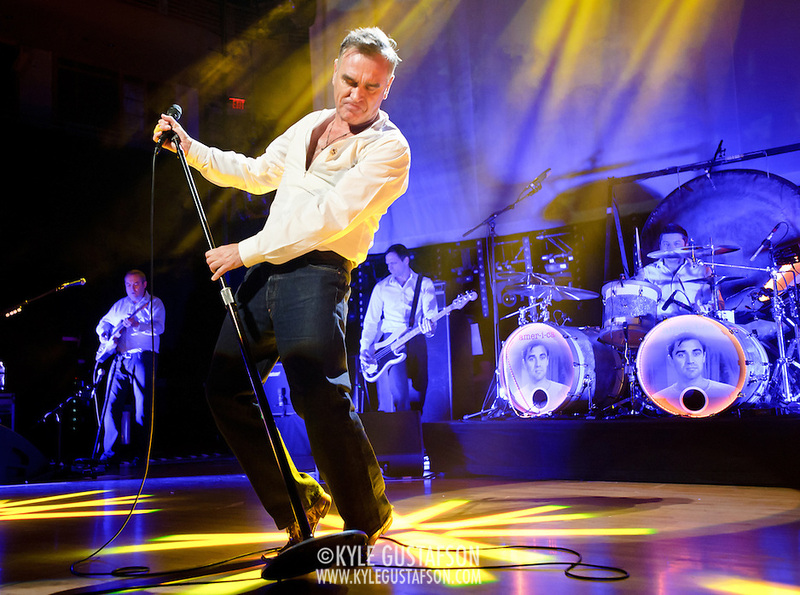 Every time the Mozzer hits the road I start pestering the Post’s music desk about how much I would love to shoot the show and once again they graciously obliged me. 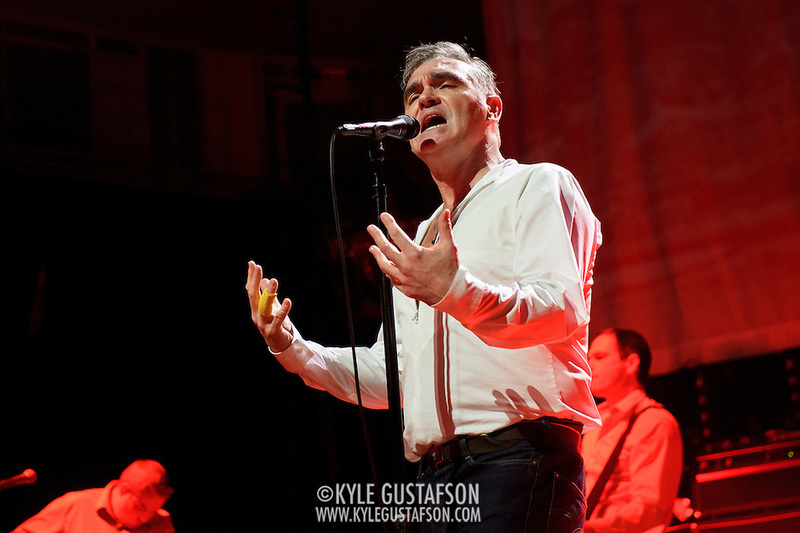 The audience at Strathmore was very well behaved, much more so than Morrissey’s last local show at the Warner Theater a few years ago. I remember barely getting out of the front of the stage with my life and gear in one piece. But the Strathmore is a bit classier and people mostly stayed in their seats. I headed up front and snagged a spot the second Kristeen Young’s set was done. 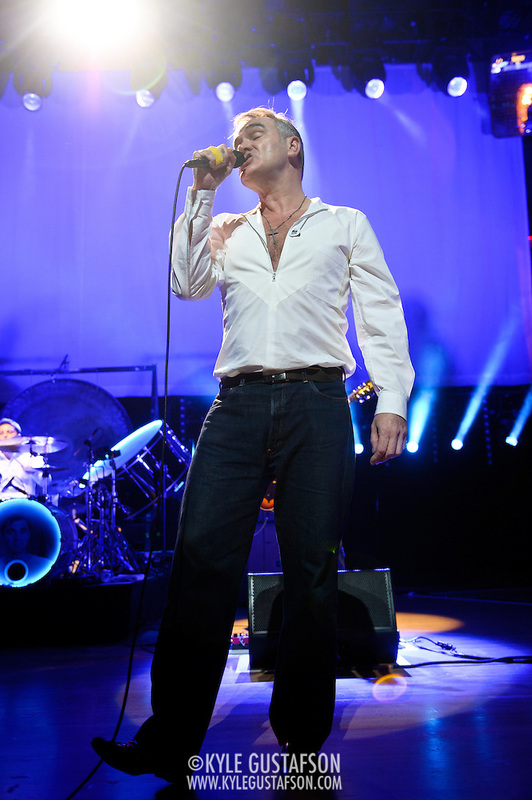 I was a few steps to the right of Morrissey’s mic, which was placed center stage. I had two camera bodies but started out with my new 17-35/2.8 on one and my 24-70/2.8 on the other. Moz stayed farther back from the front of the stage than I expected (he didn’t start interacting with the front row until much later in the set, which was the complete opposite of the show at the Warner), so I switched to my 70-200/2.8 during the third song. 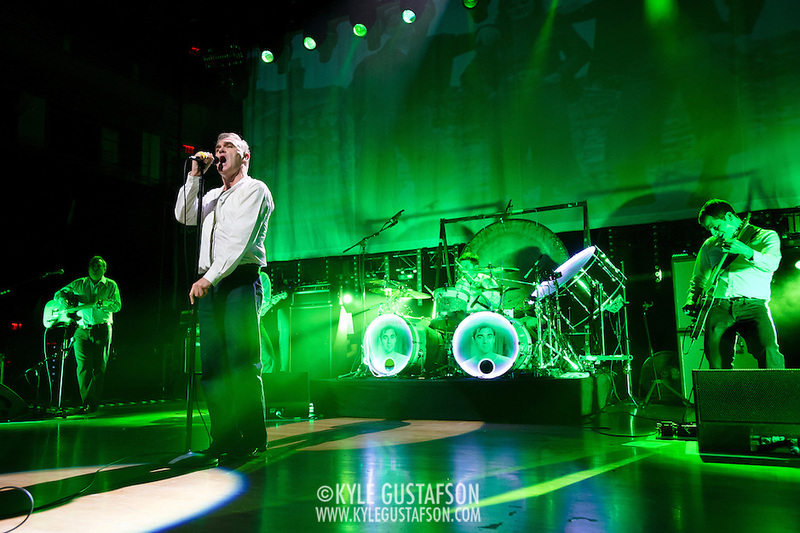 I had heard bad things about the lighting on this tour but Moz and his band were lit beautifully. No complaints at all. 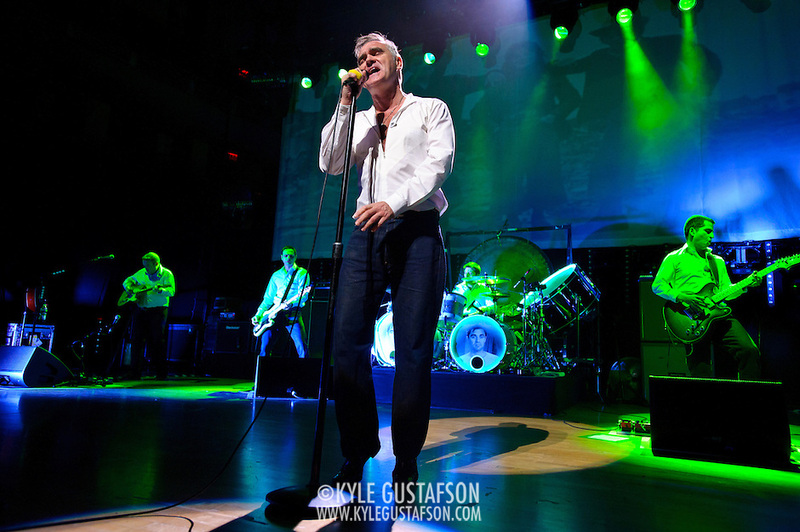 I actually got three great songs to shoot, “Shoplifters of the World Unite,” “Everyday Is Like Sunday” and “Action Is My Middle Name.” After I was done I packed up my gear and went to my seat and enjoyed the rest of the show. It’s been a while since I’ve stayed for all of a show that I’ve shot, but this was worth it. 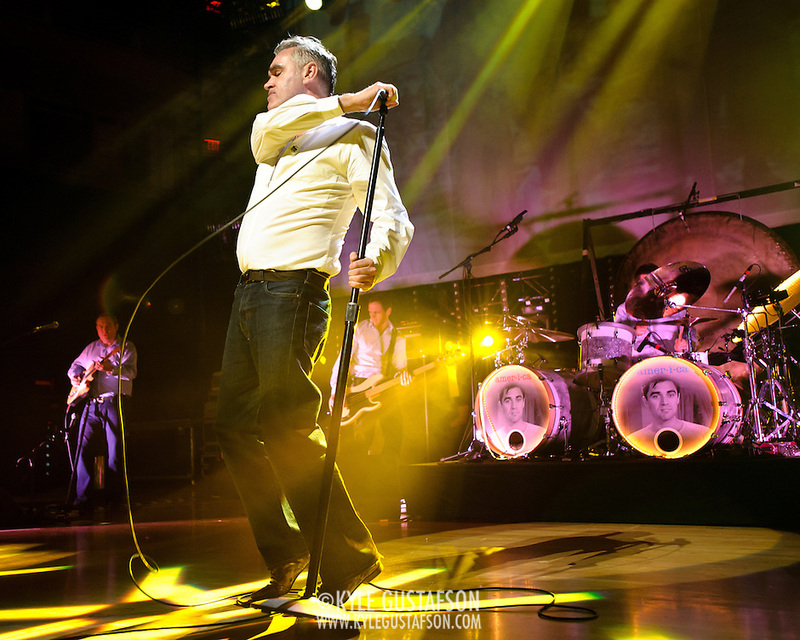 Lastly, I just realized I never put up my first two experiences shooting Morrissey, so I’ll try and get those photos up soon.